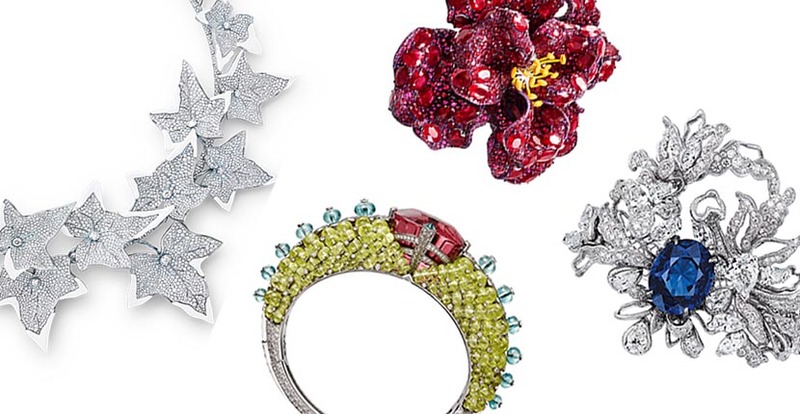 What Inspired The High Jewelry Collections? There are rules for fashion houses that want to officially call their collections Haute Couture. The guidelines enforced by the Chambre Syndicale de la Couture Parisienne circle around the concept of craftsmanship of the made-to-order clothes and the devotion to the presentations of collections in Paris. Haute Joaillerie has never had the same kind of watchdog group. Honestly, it has never needed it. There is something inherent in making a High Jewelry collection of one-of-kind treasures with spectacular gems that absolutely necessitates superior manufacturing and dedication to the art. 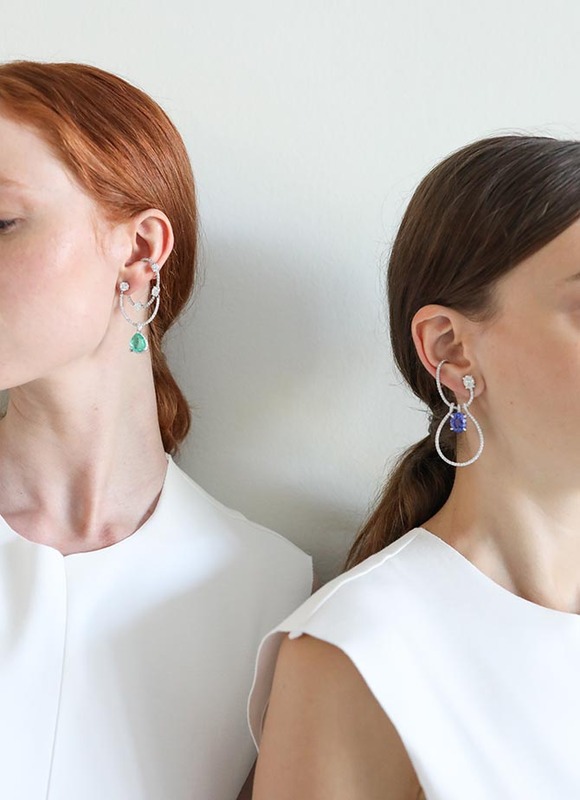 While the most rarefied jewelry in the world operates without an official organization to dictate the rules, designers working at that level universally acknowledge that a presentation of their greatest creations needs to take place in Paris. It is where Haute Couture and Haute Joaillerie were born. The wildcard factor in both arts, which is just as important as everything else, is the creative themes of the collections. For the Fall ’18 season, the sources of inspiration ranged from fairy tales to nature and the joy of color. When Cartier opened a boutique at 13 rue de la Paix in 1885, the location was strategic. It was just a couple of doors down from Charles Frederick Worth, the fashion designer responsible for establishing Haute Couture in Paris. From the beginning Cartier has always worked in sync with couture clients’ desires and this season was no exception. The Colortura collection of 240 pieces focused on an array of colorful gems studding jewels that played on the iconic symbols of the House. 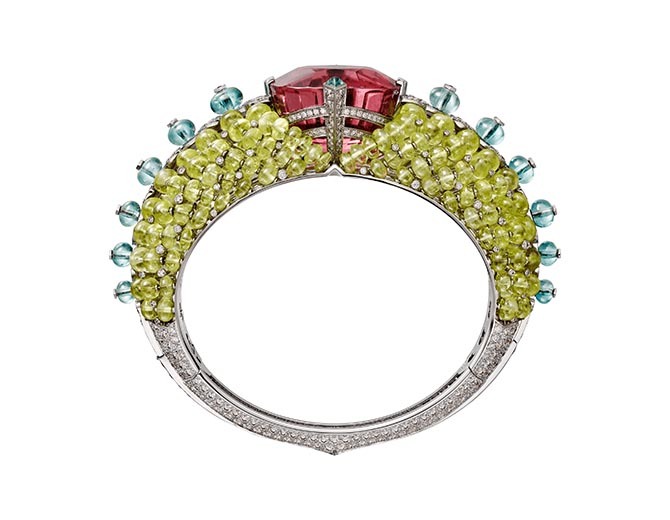 One demi suite that was perhaps the most emblematic of the collection, featured a spicy update on the classic gem combo found in Tutti-Frutti jewels of rubies, emeralds and sapphires to rubellite, chrysoberyl and blue tourmaline. The stones reference colors of the Holi festival in India that celebrates the arrival of spring. Each represents a different emotion in the event. Red is love. Blue symbolizes optimism. Green expresses harmony. 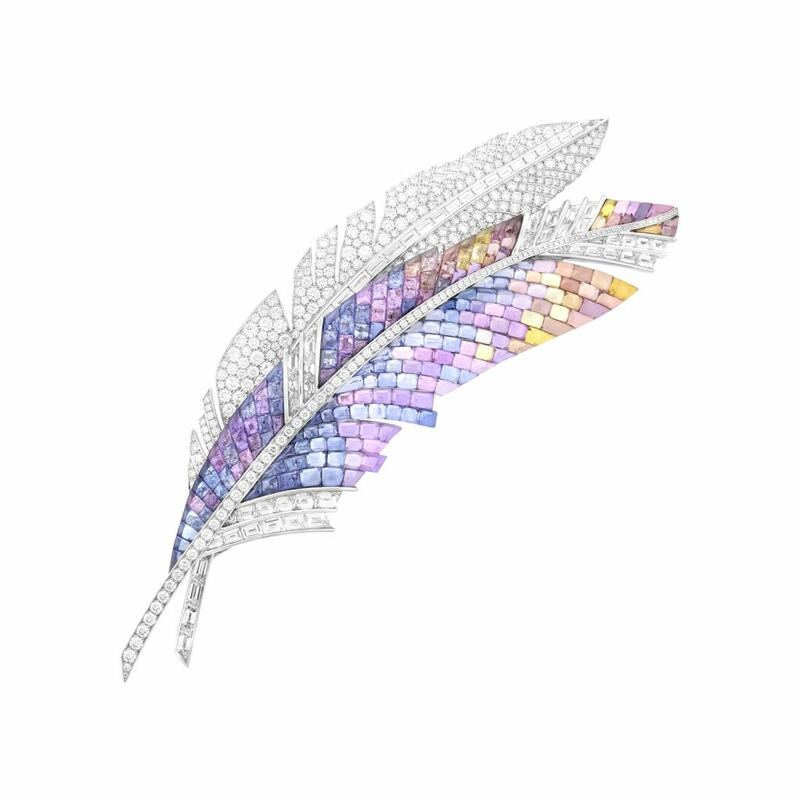 One of the greatest jewelers located on the historic Place Vendôme, Boucheron celebrated its 160th anniversary this Haute Couture season with the Nature Triomphante collection. 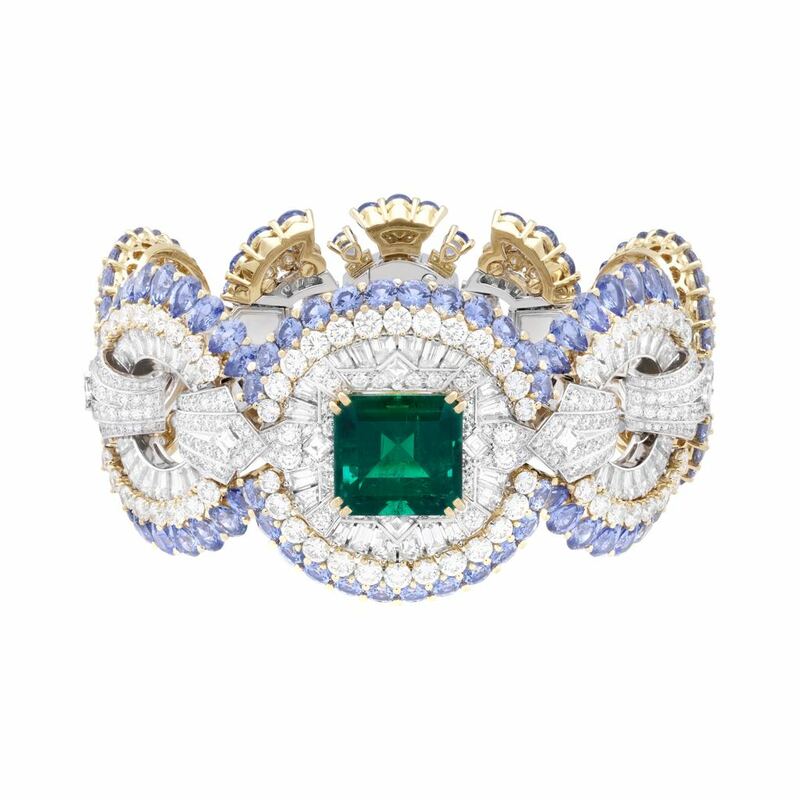 It featured pieces that echoed designs made under the direction of the great Frédéric Boucheron during the 1880s and added contemporary components. 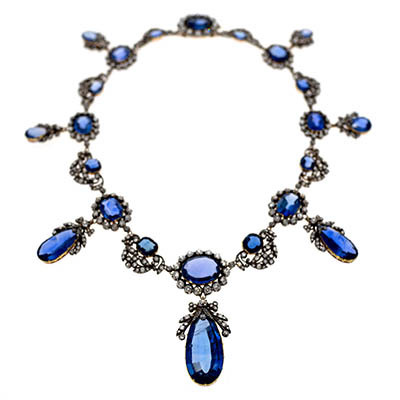 The Lierre Givre Necklace is the perfect example of the marriage of old and new. The diamond design has an ivy motif from the past but it also features titanium and cacholong. The white opaque gem is intended to look like ice and imply a winter thaw. 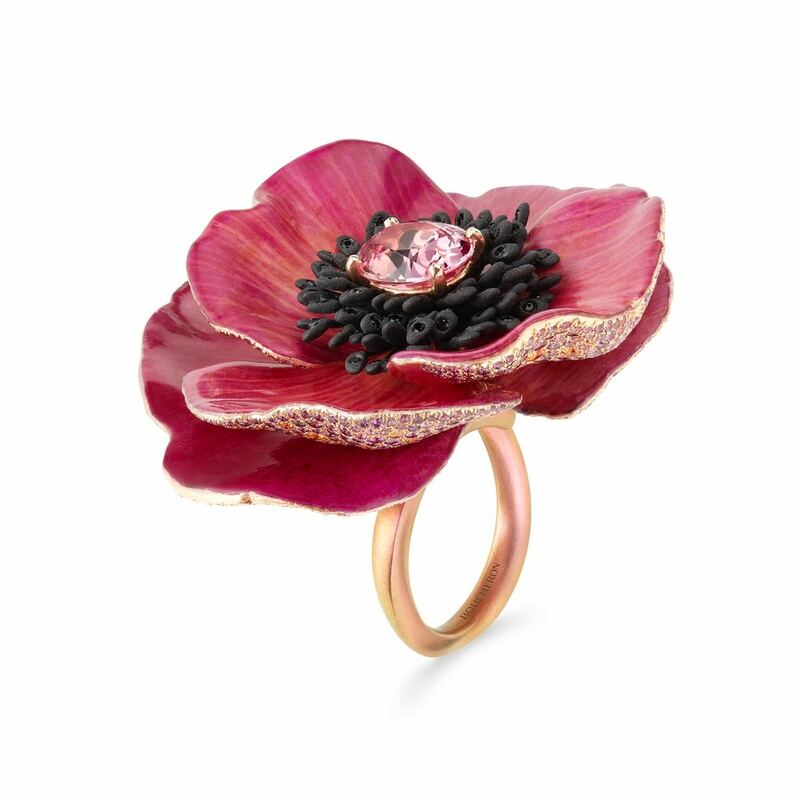 The Eternal Flower collection from Boucheron features rings with actual flower petals that have been stabilized in a secret scientific process. The pink gold ring above is set with a 4.16-carat oval Padparadscha sapphire, black spinels and purple and orange sapphires on the reverse in titanium. The elegance of Van Cleef & Arpels creations has remained consistent from the moment the firm was established on the Place Vendôme in 1896. Van Cleef never gives in to trends or veers far from the feminine elegance the House has always made. For the 2018 High Jewelry presentation the legendary French firm presented, Quatre Contes de Grimm a romantic bejeweled interpretation of four fairy tales by the Brothers Grimm: The Twelve Dancing Princesses, The Golden Bird, The Three Feathers and Town Musicians of Bremen. The Panache Mystériuex clip is set with round and baguette cut diamonds as well as Vitrail Mystery Set blue, mauve and yellow sapphires. The trademarked technique, unveiled by Van Cleef & Arpels four years ago, creates an interplay of light between the stones and shows off their translucency. The Carrousel des demoiselles bracelet symbolizes the circle of frogs that surround the animal who transforms into a princess in one Grimm fairy tale. Diamonds, light blue sapphires and a 10.41-carat Brazilian emerald light up the jewel. Among the fashion Houses that create Haute Couture, Chanel has the oldest legacy for High Jewelry. 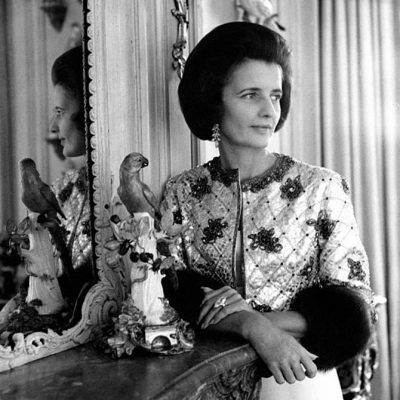 Coco Chanel launched the first collection in the 1930s. Today, everything made by Chanel has references to the designer’s favorite things and creations. The 2018 collection is inspired by the patterns on the designers beloved Coromandel screens that decorate her celebrated apartment at 31 Rue Cambon. 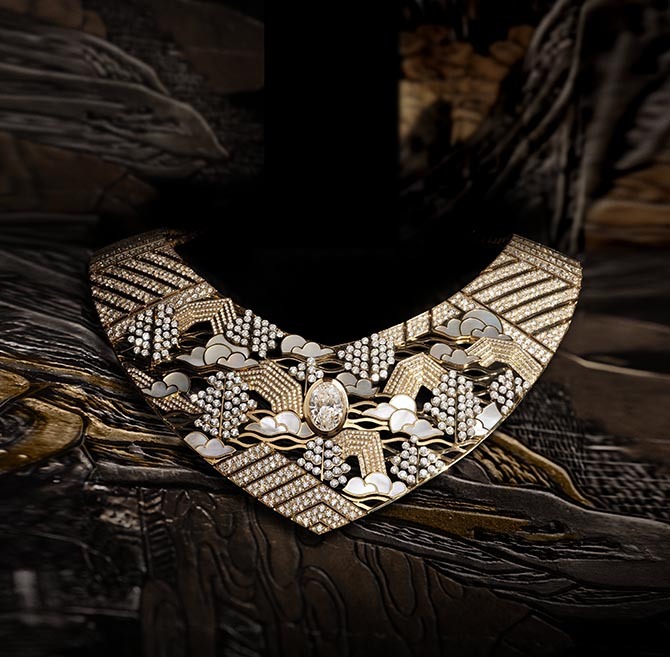 The Horizon Lointain necklace features motifs found on Chanel’s Coromandel screens. The design is composed of platinum, yellow gold, diamonds and mother of pearl. Compared to other French houses, 20-years is a blink of an eye. That is how long, or how short a time, Dior has been making High Jewelry. 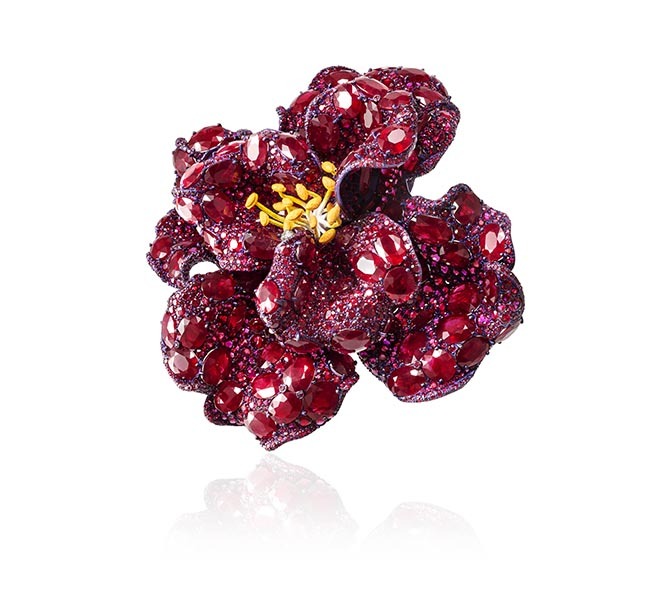 Creative super talent Victoire de Castellane has overseen the jewelry the entire time. 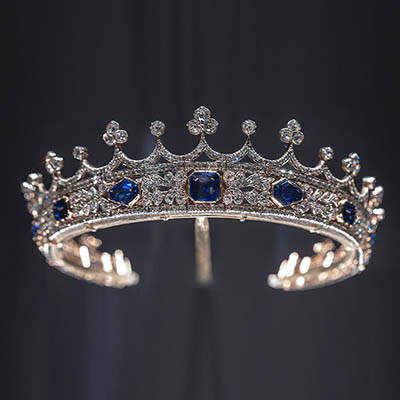 In celebration of her two decades at the helm, the High Jewelry collection dubbed Dior Dior Dior was presented at the Museum of Modern Art in Paris alongside pieces that had been made over her tenure. 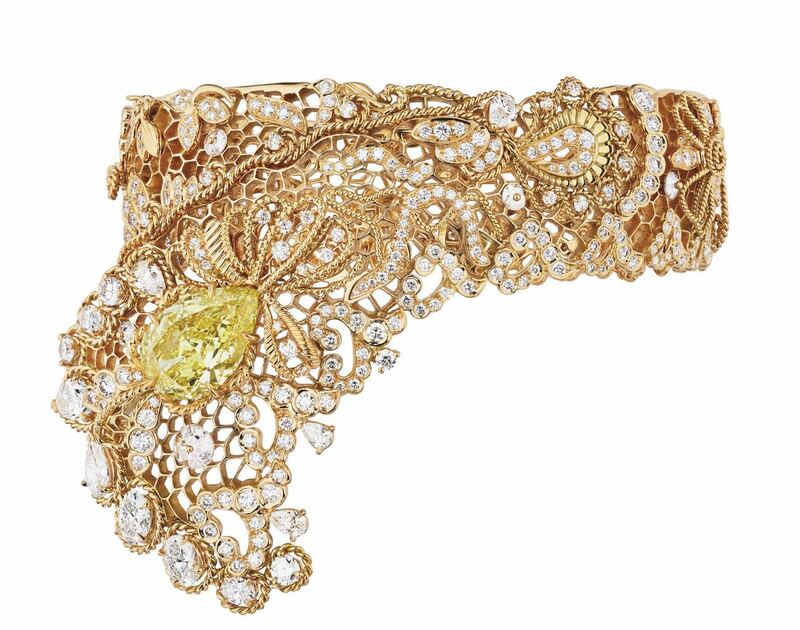 The new jewels were inspired by the fabrics that are used in Couture clothing, particularly lace. “I wanted to capture the sensation of ethereal lightness and the Haute Couture signature of lace which, like ribbons, silk and draping, is essential to the Dior lexicon,” explained Victoire. The Dior Dentelle Guipure yellow and pink gold bracelet is studded with white diamonds and one large yellow diamond. 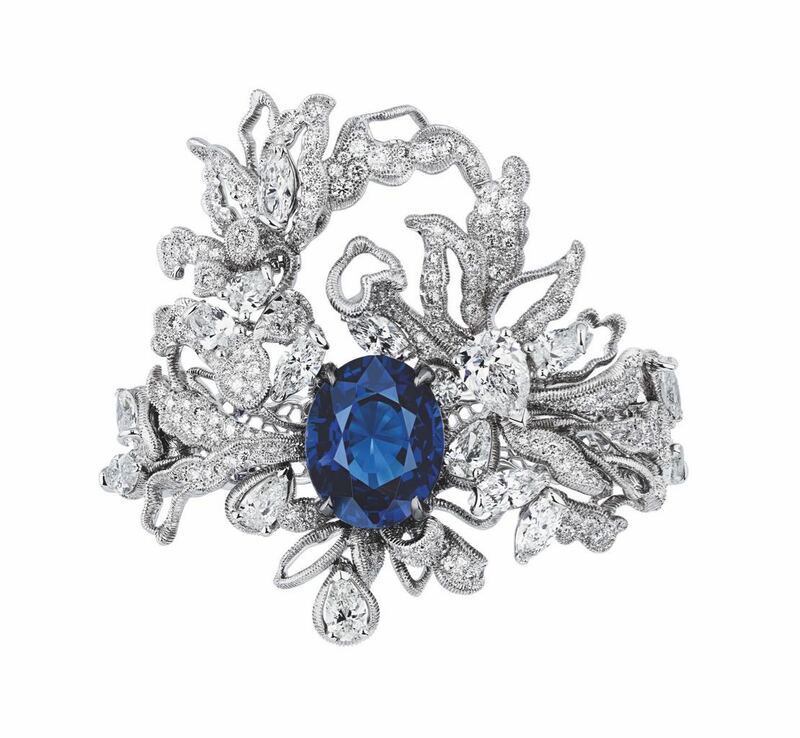 The Dior Dentelle Guipure white gold ring is set with diamonds and a large sapphire. Valérie Messika launched the Messika label in 2005 with the intention to create diamond jewelry women could wear everyday. 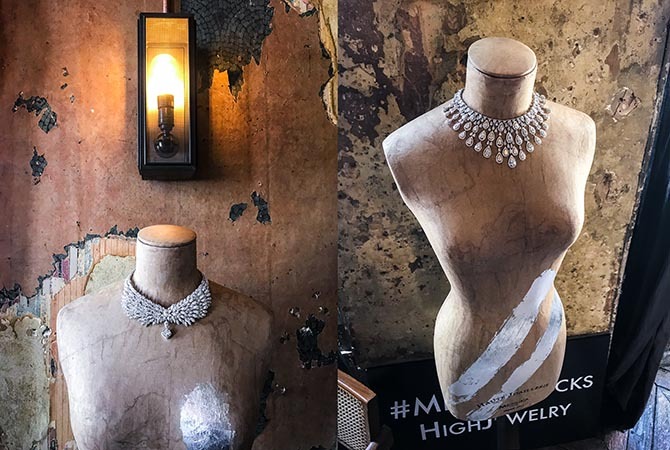 When she started opening Messika’s boutiques, four years ago she added High Jewelry to the collection. 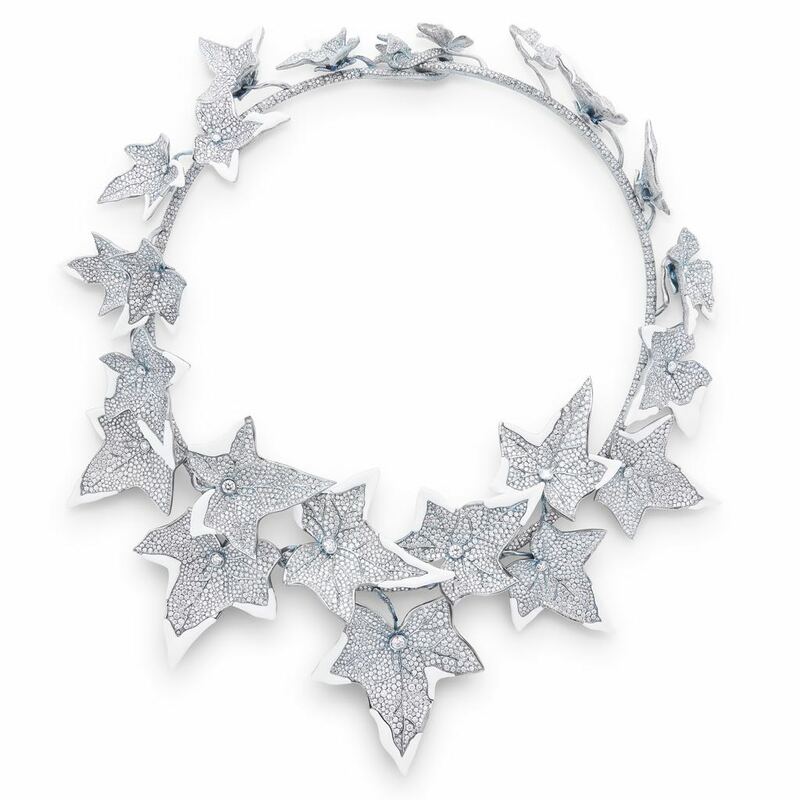 Her work stands out in the rarefied crowd for its modernity and the fact that she only uses diamonds in her jewels. “Diamonds are a connection with my dad who is a diamond merchant,” explains Valérie. 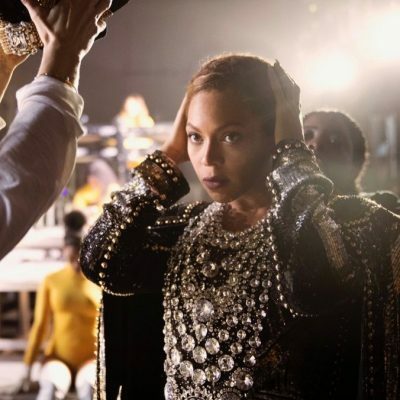 “I have in my blood the diamond relationship with him.” Among the stunning pieces shown in a photographer’s studio in Paris was the Persian Drops diamond necklace (above right) worn by Beyoncé in the first video from her collaborative album with Jay-Z All Is Love. The Art Jewel is Cindy Chao’s motto and the words came shining through in her Paris presentation. There were only a small number of creations but they all showed off the artistry of the designer. One of the most spectacular pieces in the selection came from a client’s collection. The client had asked Cindy to create something with her rubies. The Peony brooch is set with 172.27 carats of oval-shaped rubies, 56.35-carats of rubies, 5.98-carats of diamonds set in titanium and yellow and white gold and lacquer. I know it might seem odd to think of David Yurman as an emerging designer, but in the High Jewelry category he is still a newbie. The collection he showed in Paris blended the Yurman signature cable motif with astonishing stones. 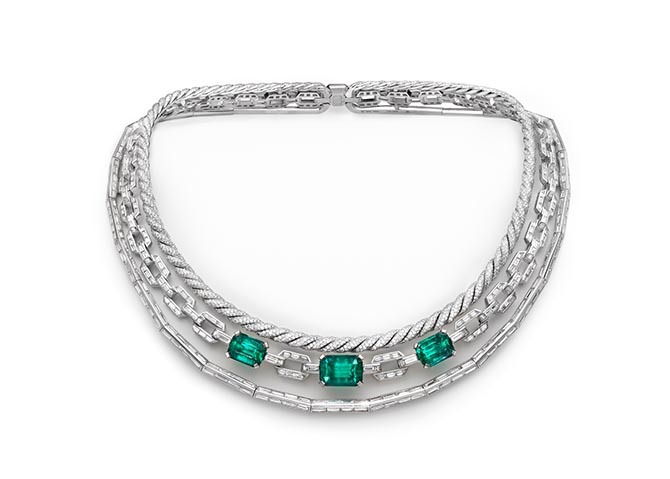 One of the most incredible designs was the white gold Stax Eternity Collar set with diamonds and breathtaking Colombian Emeralds.